is for children of all ages! Adults are enjoying it, too! Order it now directly from Amazon.com. Search for title and author's name. It's adorable! It's humorous! It's all in rhyme! During our daughter's recovery from a traumatic brain injury due to a horrific automobile accident in April 2010, I often made up little tunes and funny verses to make her laugh as I helped care for her. Prior to even being fully out of a coma, she would watch me and listen, and she would smile. It meant to the world to me! It gave me hope! While she is just now learning to speak, she laughs out loud when I repeat as many of the poems and stories to her as I can. It is my joy to see her smile and hear her laugh, and I decided to continue making up verses to "I'm a g-nu" and "I'm a g'nat" and then having the book published. 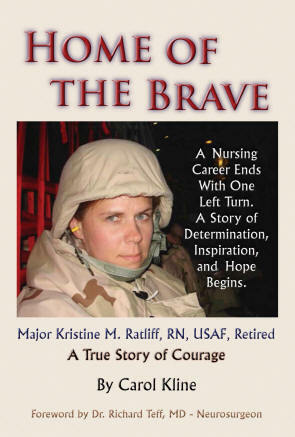 The entire children's book came together and I dedicate it to Major Kristine Ratliff, RN, USAF, for her service to our country, for being a dedicated nurse, wife and mother, daughter and sister, and for being the greatest inspiration of courage and hope I have ever known. 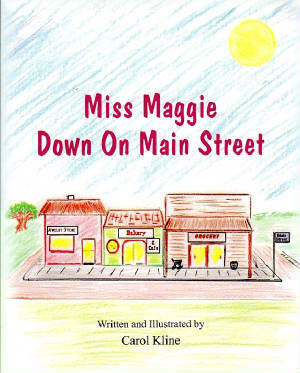 "Miss Maggie Down On Main Street"
Love, Respect, Tenderness and Compassion! Miss Maggie had all these gifts, and she was just waiting for the right one to come along to share them! It's a tale as old as time and offers encouragement to children of special needs! 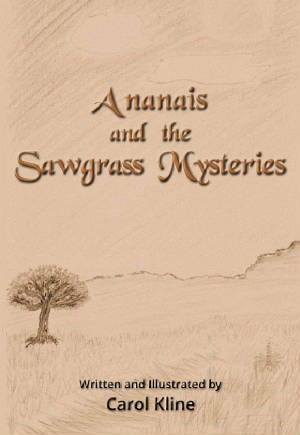 A great family story... filled with humor, warmth, and encouragement! 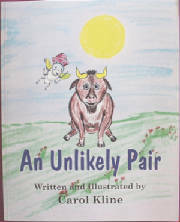 Order it now from Amazon.com by searching for the title by Carol Kline. Winner! 2015 Golden Palm Award - Second Place! and introduces the Legend of Wolf Girl! Order it today from Amazon.com. Search for the title and the author's name. People ask me every day, "How is your daughter doing?" I simply stop and reflect, and thank God every day that she is here at all. then I smile and say, "She is awesome!" 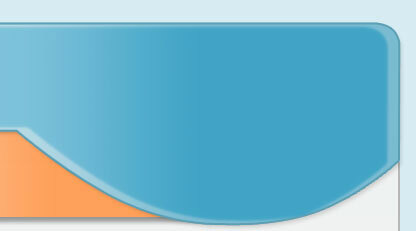 Search for the title and the author's name! search by title and author's name. Cost is $9.95 plus $2.50 for shipping and handling. Be sure to designate and print clearly to whom the autographed copy should go. 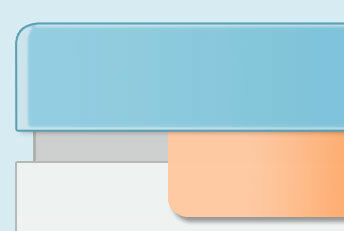 Allow 6 to 10 days for delivery.